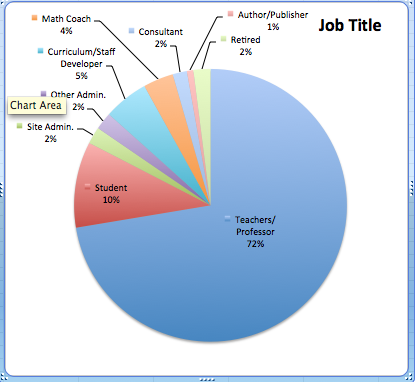 Here is the data regarding the demographics of our attendees in 2011. The data was supplied by the registration chair. 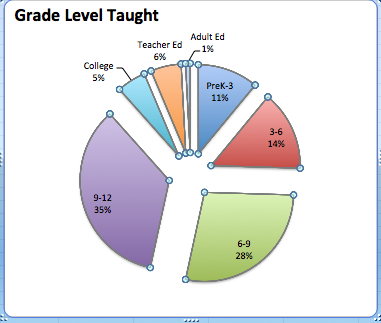 Below, the grade levels taught and the chart on the right is the breakdown of the attendee job titles.